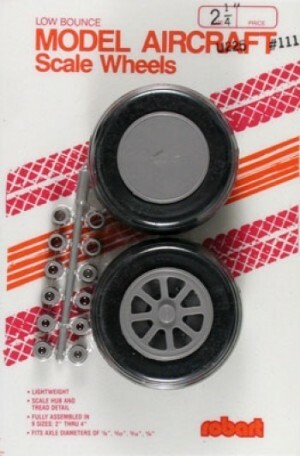 Robart Scale Wheels 2 1/4"
Designed to fit 1/8", 5/32", 3/16", and 1/4" axles, the wheels come complete with plastic hubs, spoke'd and smooth hubcaps and two tread styles. Weight: 1.2 oz. ea. 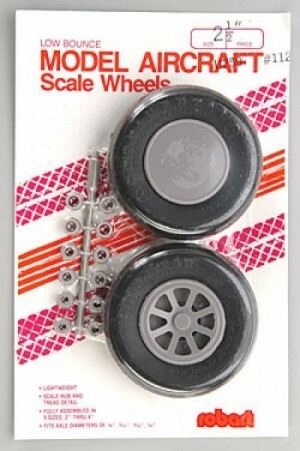 Width: 7/8"
Robart Scale Wheels 2 1/2"
Designed to fit 1/8", 5/32", 3/16", and 1/4" axles, the wheels come complete with plastic hubs, spoke'd and smooth hubcaps and two tread styles. Weight: 1.5 oz. ea. Width: 7/8"